Join TFC’s 2017 Race for the Cure Team! 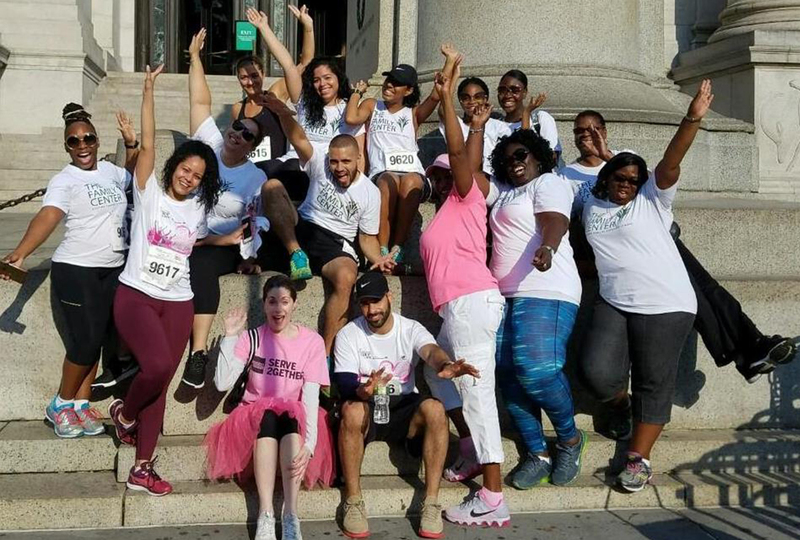 On Sunday, September 10th, Family Center staff, clients and volunteers will gather together to participate in the Susan G. Komen Greater NYC 2017 Race for the Cure. Every year, our team has a fabulously fun time -all for a great cause. Whether Family Center team members choose to run, walk, or take advantage of the benefits of the Race’s Survivor Village, all feel the spirit of joyful defiance in the face of what is a devastating illness for so many of our clients and their families. Please consider joining The Family Center 2017 Race Team and partner with us to defeat breast cancer once and for all! Susan G. Komen Greater NYC generously funds The Family Center’s Project Talk program, which provides expert legal and social services to breast cancer survivors and their families. We are proud to partner with Susan G. Komen to offer these services to New Yorkers and their families impacted by breast cancer.